Mean, green, no garage queen - keen? Last week's Maserati 4200GT proved to be the most easily swallowed Pill so far, with much love for its combination of presence, performance and a four-figure price. With that in mind we're going to stick with the SAS's conflation of daring and winning with this one, a similarly inexpensive TVR. I honestly can't remember the first time I saw a Ferrari or a Lamborghini in the wild. Youthful memories have blended with magazines, movies and the searing dramatic heights of Magnum PI. 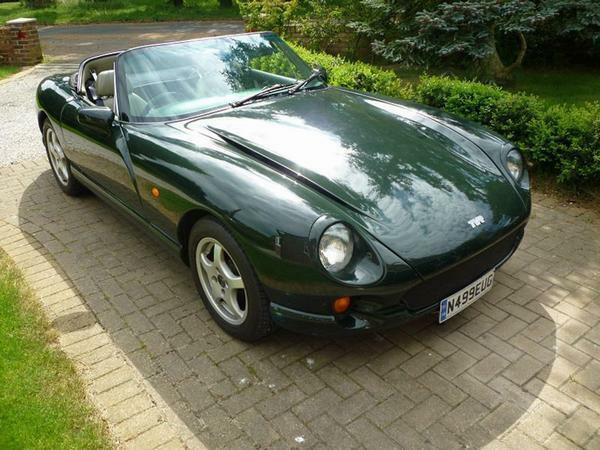 But I do vividly recall the first time I saw a TVR Chimera. It was the summer of 1993 and it did nothing more than drive past on an urban street, stop at a set of traffic lights and then burble off again. Even at low speeds it was the most V8-y V8 that I'd ever heard, and the rest of the car looked similarly outrageous. 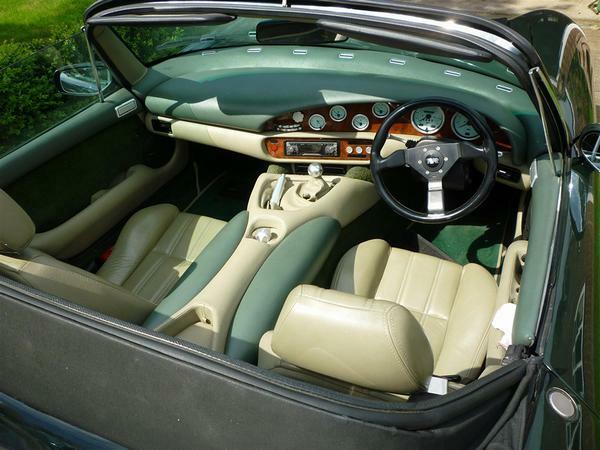 TVRs became faster, louder and more outrageous as the 'nineties became the 'noughties, but the Chimaera's combination of brutish charm and an enticing price made it TVR's most successful model of all time, with around 6000 produced. Back in 1994 you could buy one for £26,250, pretty much exactly half the £53,995 of a base 911, with the Chimera being a half second quicker to 60mph. These days it is the cheapest way into the brand's post-wedge era with values substantially under those of the closely related Griffith. But are you brave enough for this one? It's fair to say that TVRs of this era have never enjoyed a stellar reputation for turn key reliability and they can still fall victim to some expensive maladies. This week's pill gives a good indication of what the bottom of the market looks like these days, a privately-sold 1996 4.0-litre car with some visual imperfections and a bilious green interior with a price tag that just dips into four figures. It certainly offers plenty of bang for your buck. The Rover-sourced 4.0-litre engine produced a relaxed 240hp as it left the factory and the advert reports this one has been given a few upgrades since. While the headline power output might not sound like much by modern standards the Chim's lightweight construction and glassfibre bodywork means that it weighs pretty much exactly the same as a current MX-5, while still accommodating a chunky V8. Okay, the Mazda would look after you much better in a crash - as in, at all - but the TVR is still properly rapid. Even in 2019 a sub-5 second 0-60mph time is nothing to be sneezed at; in 1992 it was one of the fastest cars on the road. Handling sophistication will be more limited, of course. Wheeler-era TVRs drove well providing you arrived at them with realistic expectations, fundamentally a desire to experience the adjective stretching straight line performance more than an urge to chase hot hatches down country lanes. 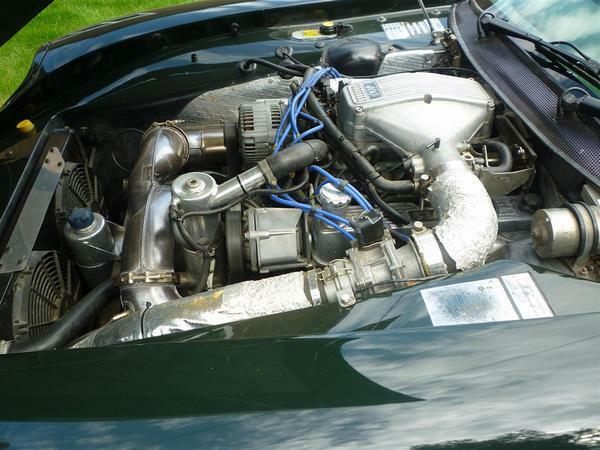 Power steering was an option on early Chimaeras - bizarrely a certain type of driver still regarded it as a bit sissy - but the under-bonnet shots show that this one does have the pump that indicates fitment. There's no ABS or traction control though; those really were for jessies. But the Chimaera's appeal was never just about performance or even that NASCAR soundtrack. It pretty much exemplified the canny way that Peter Wheeler ran TVR at the time, a simple recipe that propelled the brand to unprecedented success. The company's cars had to be fast and enticingly priced, but they also had to look good - the detail that other low volume sportscar makers tended to neglect. The Chimaera's styling has aged remarkably well, muscular but much less extreme than the models that followed it. The scalloped leading door edges might have been because of the difficulty of creating a tight shutline with a conventional fit, but what a simple, clever solution it was. It's the same story in the cabin. While most hand-built sportscars feel their flakiest inside, the Chimaera has proper trim, a couple of cows' worth of leather and a nicely angled wooden dashboard. The rotary heating controls still look good, as does the bulbous gear lever that barely rises from the fat centre console. Okay, our pill's interior has a greenish Kermit-and-biscuit scheme that only Miss Piggy could truly love. But even a hater couldn't claim it looks lashed-up or thrown together. 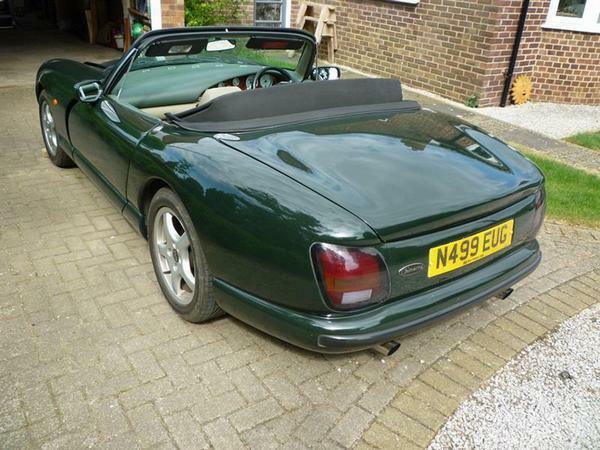 Mechanically the Chimaera is about as safe a bet as a TVR can be. The Rover engine is an entirely known quantity and parts availability is total. Although a pre-facelift car, this one is still late enough to have the beefier Borg-Warner gearbox in place of the earlier, and more chocolaty, Rover LT77. The vendor of our Pill reports various changes, including the fitment of coilovers and polybushes in the front suspension and ARB, but is also offering to return most of the original parts for anyone who wants to take it back to stock. Despite glassfibre bodywork the big risk with any Chimaera is rust, specifically in the steel outriggers that hold the body to the chassis. Fixing these means lifting the body clear - welding and composite not really getting on - so it's not a simple task. Wishbones also fall prey to tinworm with this car's MOT history reporting that the fronts were "corroded but not seriously weakened" as an advisory last year. Anyone interested should take a torch and a screwdriver or, better still, a proper expert. But even if it does need some sympathetic spend, the Chimaera looks like an solid bet. Values have long since stopped falling, indeed good ones seem to be creeping up. The Griffith from the same era is sleeker and sportier - but it's not twice as good, which is where the market is currently valuing it. As a long term investment this Chimaera could be a very clever Trevor. Relatively tame, compared to last week's Maserati. It's basically a kit car, after all, so relatively easy to fix if when it breaks. Of are we into a different kind of 'brave'? My Griffith was the most lethal handling car I've ever driven (and since that includes rear-engined Skodas, that's probably saying something). What's wrong with the interior? I'd have ordered that, or something similar; I certainly wouldn't want it with a "safe" black or grey one. If I wanted that I would have bought a "safe" Z3 or something. Wonderful machines . Looks and sounds fantastic. If mechanically sound this would make a decent daily. Didn't a chap drive one of these from the artic circle to the bottom of south America in one of these last year? I like that interior too. That is the first green interior I’ve seen that looks not too bad! !